We are not alone in the Galaxy, but soon we will be. The greatest civilizations in the Galaxy are disappearing without a trace. The future history of our Galaxy has been irrevocably changed. This is the world Xin wakes up to. 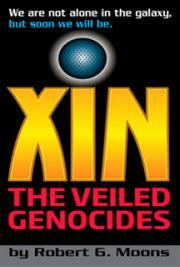 Xin, an alien probe of immense power has been buried in the Earth’s crust for millions of years. Helping to release the science probe from its ancient tomb, it leads to one man’s journey to the stars. This is their story.